You cannot do without some kitchen tools when you are baking. Mandatory baking tools include baking pans, mixing bowls, stirring spoons and, of course, an oven. 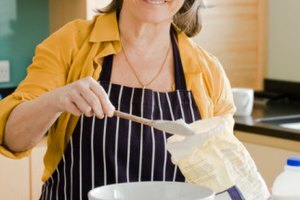 Measuring cups are not included in this list because it is possible to bake without measuring cups if you are careful during the preparation stage. 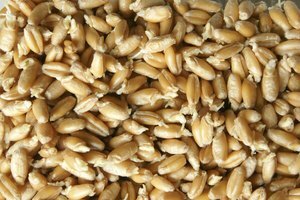 As you become more experienced in baking and you get a feel for the required consistency in the batters, it is possible to add ingredients without precisely measuring them. 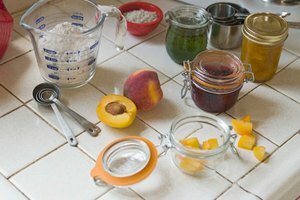 Gather all of the ingredients you need for your baking project on the counter before beginning your baking. Pour the dry ingredients into one bowl, using your best judgment to estimate quantities. For example, ½-cup of dry ingredients is roughly the size of a tennis ball. If you must add two cups of flour, estimate an amount of flour that equals the size of a tennis ball four times. If you must add ¼-cup of a dry ingredient, this is roughly equal to a small handful. If you must add one tbsp. of a dry ingredient, this is roughly the same size as a large marble. Use measuring spoons to measure leavening ingredients such as yeast, baking powder and baking soda. Precise amounts of these ingredients are very important to the overall success of your recipe, and you must measure them accurately with the measuring spoons. Teach yourself what small quantities look like when they are in the palm of your hand. Measure one tsp. of salt or a spice and pour it into the palm of your hand. Look at the amount of spice in your hand and remember what one tsp. looks like. Do the same with one tbsp. of a spice. In the future, simply pour the amounts you determined were one tsp. and one tbsp. into the palm of your hand when a recipe calls for ingredients in these amounts. Place the wet ingredients into another bowl. Add the eggs first. Liquid ingredients are slightly harder to estimate without measuring cups than dry ingredients, but with practice, you will develop a feel for amounts. If there are eight tbsp. of liquid in a 1/2 cup, and one tbsp. would fit in the palm of your hand, you can learn how to pour liquid ingredients into a bowl in small increments to add up to the total amount needed in the recipe. Use this technique to add the liquids to the bowl. Combine the wet ingredients together with the dry ingredients and stir them well. Assess the consistency of the ingredients and make any adjustments necessary. 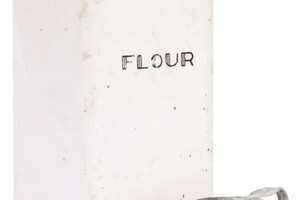 If the batter is too runny, add more flour. If the batter is too thick, add more liquid ingredients. Add only small amounts of ingredients to adjust the consistency and continue to assess the batter until it is the proper consistency. Make cookie batter thick enough to roll into balls. Make muffin batter thinner than cookies, but still thick enough to scoop. Make cake batter a thick pouring consistency.